One can also enrich one’s knowledge of the sea in one of the museums, like the Oceanographic Museum of Monaco, an essential place to make discoveries. You can find what you want on the coast according to your preferences. 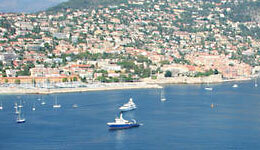 Big cities and resorts recalling the glory of the coast: Nice, Cannes, Antibes, Juan-Les-Pins, Monaco, Menton. 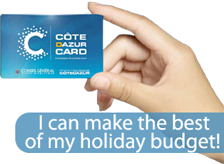 Equipped for all water sports and boating, the coastal resorts of Cap d'Ail, Beaulieu-sur-Mer, St-Jean-Cap-Ferrat, Villeneuve-Loubet, Cagnes-sur-Mer, St-Laurent-du-Var, Mandelieu-La-Napoule and Villefranche-sur-Mer are wonderful places to stay in all seasons. 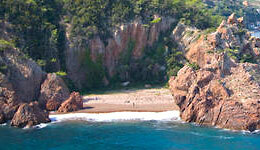 Sand or shingle beaches, tiny coves or broad bays, the French Riviera offers a wide range along nearly 40km. Though most of the beaches are public, there are also some 150 private beaches, some of which are genuine institutions. Enjoy the beauty of the Riviera coast with the wind in your hair from the water.